Regina Calcaterra’s memoir Etched in Sand, A True Story of Five Siblings Who Survived an Unspeakable Childhood on Long Island (William Morrow Paperbacks) is a #1 international best-seller and a New York Times best-seller. 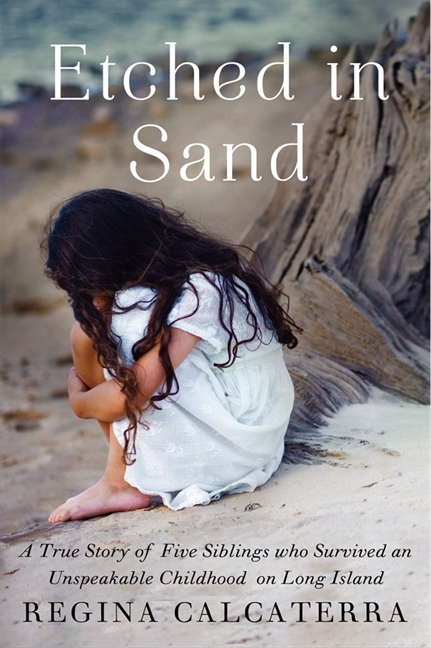 As a result of Etched in Sand’s messages of resilience, optimism, the plight of foster children, that no child is a lost cause and how we can all positively impact the life of a child in need, it has been integrated into college and high school curricula throughout the U.S. and been selected for community reads. 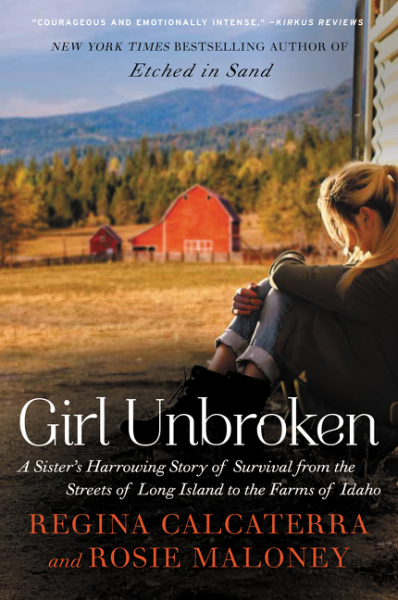 She is also co-author of Etched in Sand’s sequel which she wrote with her younger sister Rosie Maloney, Girl Unbroken, A Sister’s Harrowing Journey from the Streets of Long Island to the Farms of Idaho (William Morrow Paperbacks). Girl Unbroken has also been integrated into college curricula alongside Etched in Sand. Etched in Sand and Girl Unbroken have resulted in readers and those who have heard Calcaterra speak: adopting older foster youth; becoming first time foster parents; changing the rules of a food bank that now allow children to get food without no longer requiring that they be accompanied by a parent; creating the first program at a Long Island library that provides library cards for the homeless to allow them to access all of the library’s resources, although they do not have a permanent address; becoming guardian at litem and CASA members to ensure that every child in foster care has a voice; learning how we can all forever impact the life of a child in need although they may only be before us for a moment in time; and, increasing fundraising goals and/or becoming first time contributors to related community based organizations. Additionally, after learning that foster youth age out of the system parentless, a teen created an annual event called Teens Gotta Believe, where he raises community awareness about the need for adoptive parents for older foster youth and raises funds for You Gotta Believe, a not-for-profit that works towards getting older foster youth forever homes. Calcaterra is a partner at the law firm of Wolf Haldenstein where she practices securities litigation and federal civil rights litigation. Prior to joining Wolf Haldenstein, she served as Executive Director to two of the New York State Governor’s statewide investigatory commissions, Deputy General Counsel to the New York State Insurance Fund, Chief Deputy to the Suffolk County Executive, Deputy General Counsel to the New York City Employees’ Retirement System, Director of Intergovernmental Relations to the New York City Comptroller and a partner in a securities litigation firm. 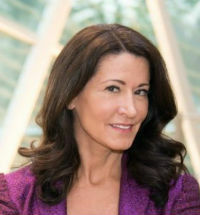 Calcaterra serves as the second vice chair to the SUNY New Paltz Foundation Board; as an Ambassador to Library for All, a global effort to eradicate childhood illiteracy in third-world countries; and, on the Advisory Committee to the New York Society for the Prevention of Cruelty to Children. For close to ten years, she served as a board member to You Gotta Believe, an organization that works to get older foster youth adopted. "Regina Calcaterrra’s life as expressed in Etched in Sand is heart-wrenching, breath taking and awe-inspiring. She speaks with transparency and truthfulness without sugar-coating or passively expressing what life was like. It was an evening that has galvanized further action in support of foster care." "I can’t tell you how happy I am that I attended Regina Calcaterra’s presentation last night! I was moved when I read Etched in Sand while on vacation this summer, but must say that hearing Regina in person was a compelling experience and the most inspiring presentation/program that I’ve experienced at Clarkson in my memory."